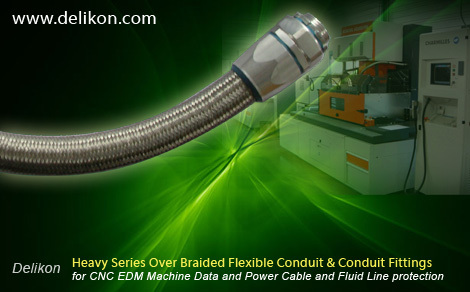 These braided conduits are used to protect sensitive electronic circuits such as communications, radar, and data transmission from outside interference or "noise". These conduits are also used when the reverse situation is also an issue. Comprises a standard conduit construction, with metallic overbraid.